Thomas & Mercer, 9781503934276, 381pp. A Wall Street Journal bestseller. Gibson Vaughn, hero of the bestselling novel The Short Drop, returns in a smoldering thriller. The promise of billions has drawn a horde of ruthless treasure hunters, including an edgy ex-con, a female bartender with a mysterious history, a Chinese spy with a passion for fly-fishing, and a veritable army of hardened mercenaries. To stay ahead of the sharks and win justice for his mentor, Gibson will need all his formidable skills. 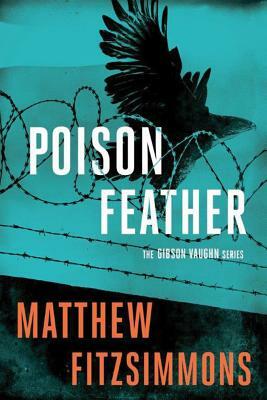 But at the end of the road, he'll still have to face "Poisonfeather"--a geopolitical secret that just might get Gibson killed...or worse.